It has begun, the dizzying whirlwind of pantomime rehearsals has arrived and it will be running us ragged right through until next year. The cast are all here at the theatre full-time now and a few faces will of course be familiar to previous panto-goers. 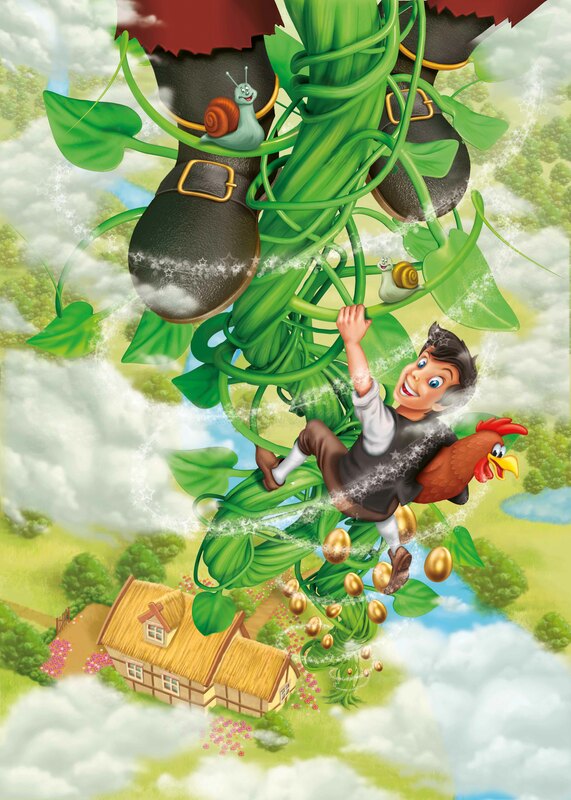 This week the first tentative steps of transforming our script into the larger than life story of Jack and the Beanstalk have been taken. The process of starting out with merely lines of dialogue on a page and then creating a full blown, action-packed stage show can seem curious when looking back at where we started. The first time we all enter the rehearsal room armed with nothing but the script is, in some ways, the first step in a long process in problem solving. When taking into consideration the practicalities and possibilities of actually performing then more often than not the script is altered so as to work around the set, costumes, props and timing. The amount of unexpected decisions that we have to make as a team during panto make you wonder what an odd job working in theatre (especially panto) is. Present head-scratchers include how to get ice cream from a pantomime cow. There is an internal logic to these seemingly ludicrous decisions though – considering each tiny point is key to making the quality panto that you will see on stage. Panto might look easy and spontaneous but it’s serious fun. There’s a thought process behind each gag and scene making it look effortless on the night. Panto problems are actually quite fun to have to solve. Whilst behind the scenes we may have beanstalks and giants on the brain, before we unleash them we still have a spectacular, in a different sense, production of Betrayal at the Coliseum. This is one of Harold Pinter’s masterpieces of writing which helped earn him his 2005 Nobel Prize for literature. The production of Betrayal at the Coliseum comes from the wonderful London Classic Theatre company. Across the pond however, a Broadway revival of the show featuring Daniel Craig and Rachel Weisz has become the biggest box-office success of the new season before it has even opened, taking in over $1m. With Betrayal set to be this year’s big news in theatre you only have five nights to catch it in Oldham. Betrayal runs 29 October – 2 November preceding Jack and the Beanstalk which opens 16 November.